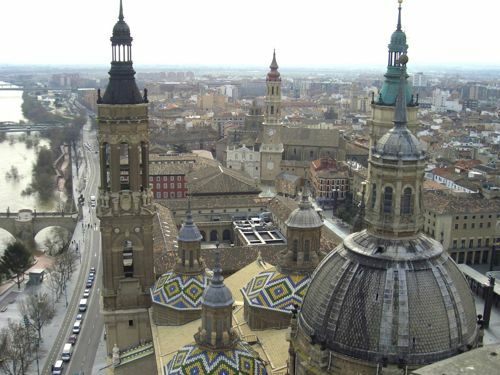 Zaragoza is the capital of the Aragón region and Spain’s fifth largest city. Located south of the Pyrenees, it sits next to Catalunya in the northeast of the country, and is home to a range of fascinating sights, from Roman ruins to magnificent Islamic architecture and a striking Baroque cathedral. There are plenty of places to visit in Zaragoza including, Palacio De La Aljaferia, Iglesia De San Pablo De Zaragoza, Lonja De Zaragoza. When visiting a new city, one will always be looking for places to taste some of the local cuisines. One of the oldest restaurants in Spain, dating back to 1825, Casa Lac was named after a French family that came to settle in the city after the French Revolution. Creating a bakery on the first floor, they turned the second floor into a dining room. Housed in a stunning building, renovated a century later in 1925, Casa Lac has Modernista influences, such as wrought iron staircases and colorful tiles. The top floor, where the restaurant is located, is Elizabethan in style, with patterned wooden floors and beautiful vintage lamps. Today the restaurant is led by chef Ricardo Gil, who creates delicious and delicate plates with an emphasis on fresh vegetables. 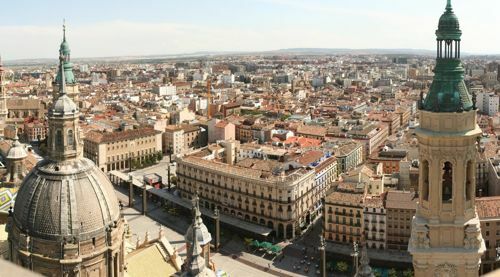 If traveling to Zaragoza in a large company with friends or several families the most attractive and efficient way to move around the city and surroundings is to rent a van with a driver. The services could be provided with a chartered chauffeur who will take you anywhere you like during the whole period of the vacation. The rental service is available 24/7, so even if you stay somewhere like a restaurant or a nightclub until a very late time you can always rely on reliable service and exceptional hospitality. Contact our firm’s representative over the email, phone or social media contacts. Tell us what are you up to, what the requirements are and what dates are you traveling to Zaragoza. Receive our respond with some suggestions and quotes. The company guarantees 100% satisfaction of the provided high-class quality service. We are certainly the leaders of this industry in Zaragoza, whereas hundreds of very happy customers were satisfied with the service they have received. The strengths of the minivan with a driver rental services are that the cost of the rental could be split among all individuals and eventually will turn as the same amount of money that could be spent on public transport during the day. Apart from that, travelers should not worry about not being acquainted with the lack of streets and routes knowledge. This is going to be the job of a driver who will take you whatever destination you wish to go. Additionally, you will not have to face aggressive driving and worry about parking and the chauffeur will give you maximum support in planning daily drives for optimizing the time during the journeys. More importantly, you will never be responsible for driving incidents, which will guaranty the most pleasant stay in the city. The fleet of highly - comfortable vehicles. Upon our clients request the VIP transport is also available to be provided. It might include a van of a prestige brand, leather seats, a more spacious interior and even wi-fi if the request is sent in advance.